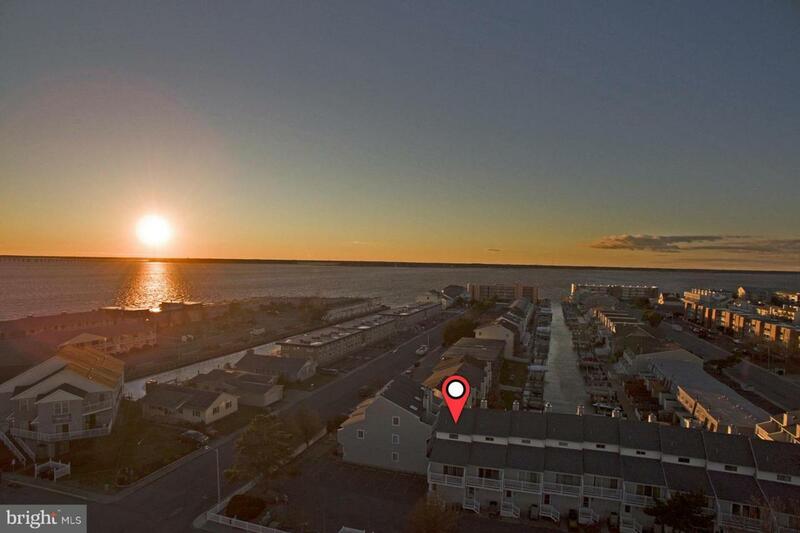 This 3 bedroom, 3.5 bath end unit townhome is located in in Ocean City with beautiful water views. Just a short walk to 94th Street beach access, fabulous restaurants, shopping and Ocean City Art League. All bedrooms have a private balcony, plus a deck off of the living room, overlooking the water. Updated kitchen, granite counters, bib sink, stainless steel appliances, new paint and new carpet throughout. Wood pellet fire place in living room. Ample parking available. Unit will be rented from May 15th to September 30th. Rental income is $22,800 for 2019 season. New owners must honor rentals.